Rakvere Teater, opened in 1940, is a professional repertoire theatre in a small northeastern town Rakvere, Estonia (approximately 100 km to the East from the capital Tallinn). Rakvere at present has ca 16 600 inhabitants. In Soviet times unconfirmed, but highly probable reports cited Rakvere as the smallest place with a theatre of its own in the whole empire. Rakvere Teater is now considered to be the smallest town in Europe which has its own professional repertory theatre. 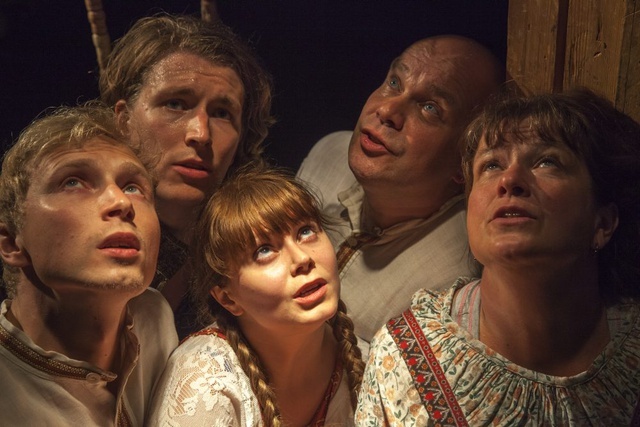 Rakvere Teater is a well-known brand that equals to a good ensemble work of its 18 actors with collaboration of the best Estonian guest directors and risky choices for productions. 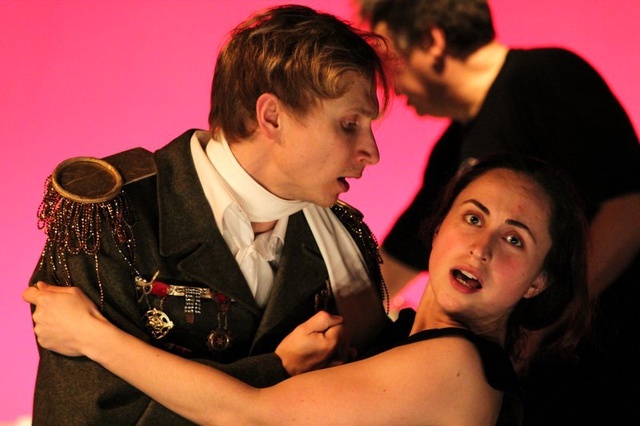 Rakvere Teater also organizes the biannual contemporary theatre festival Baltoscandal that was the first international theatre festival in the Baltic States. 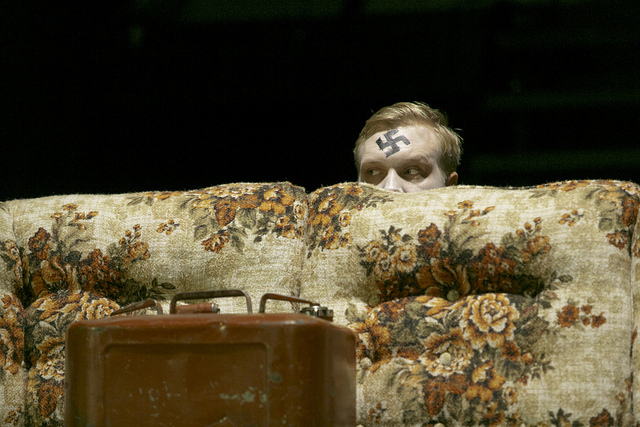 The repertoire of Rakvere Teater is divided between classical and more avant-garde productions. At the moment it consists authors such as H.Pinter, A.Ostrovsky, S. Mrožek, E.-E. Schmitt, M.McDonagh etc. 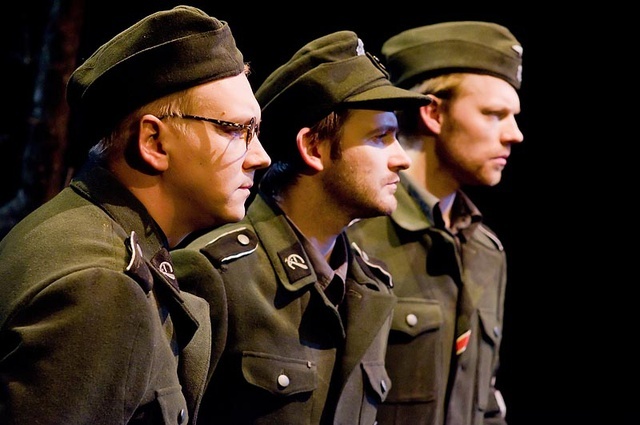 Throughout the years, Estonian dramaturgy has been an important part of the repertoire. It doesn't matter whether classics or modern - the essence of Rakvere Teater's productions is a highly skillful professional performing art. Each season 10 new productions are brought to the stage. 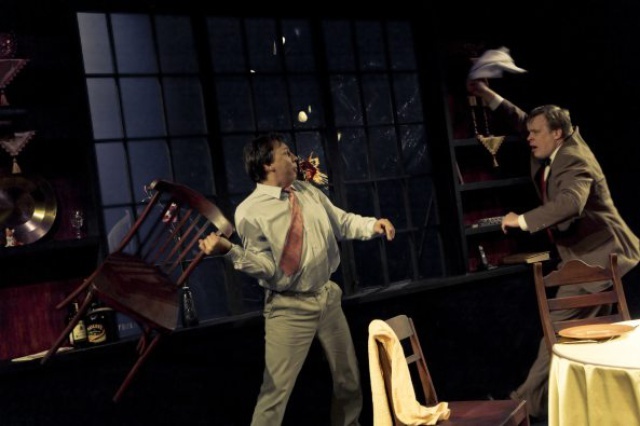 The theatre has a diverse repertoire, which by the critics is called as searching and courageous for experimentations. Throughout its existence working conditions of the theatre have been difficult. As the town itself cannot provide enough spectators, the company is often on tours around Estonia. Since 1949 when the company got its first bus, Rakvere Teater has gained the reputation as a “theatre on wheels”. The number of performances given in its own building has increased after the renovation of the main building in 2005. Still 1/3 of more than 300 performances for approximately 65.000 spectators are given outside of Rakvere. The main building in historicist architecture style consists of a 411-seat traditional pro-scenic stage (plan of the stage), cafe and an art-gallery. The neighboring building has a 100-seat black-box auditorium (plan of the stage). If not used for theatre performances it functions also as a community cinema. The current artistic leader of Rakvere Theatre is Üllar Saaremäe. Saaremäe started to work in Rakvere 1996. The current managing director of the theatre is a former actor Velvo Väli. 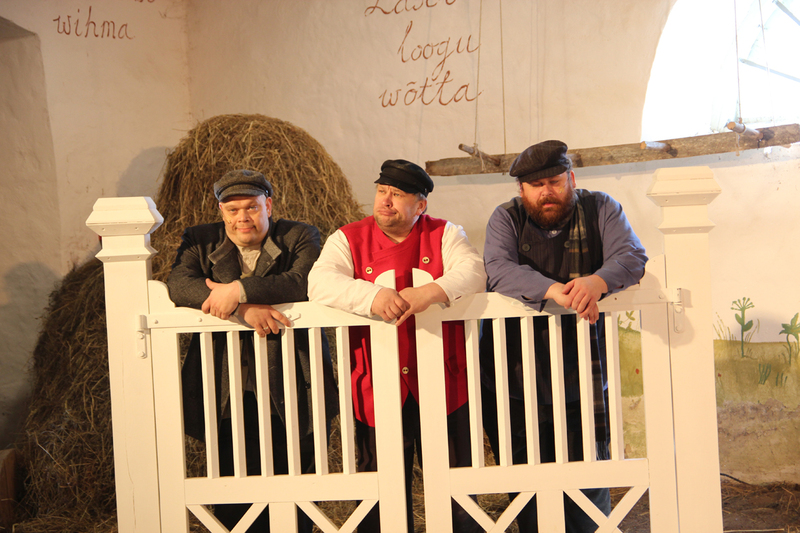 Both Saaremäe and Väli have received the Award for Best Male Actor of Estonia (2008; 2012). Since 1994 Rakvere Teater has been hosting the biannual contemporary theatre festival Baltoscandal. Initiated by Von Krahl Theatre’s leader Peeter Jalakas, Baltoscandal was the first international performing arts festival in the Baltic States and has always focused on innovative and unconventional examples in contemporary performing arts, both from Europe and around the world. Baltoscandal, together with other 7 festivals (Kunstenfestivaldesarts - Brussels, Alkantara Festival in Lisbon, Dublin Theatre Festival in Dublin, Göteborgs Dans & Teater Festival in Göteborg, Noorderzon in Groeningen, steirischer herbst festival in Graz, Théâtre national Bordeaux Aquitaine in Bordeaux), is a member of a European festivals network called NXTSTP. The artistic leader of Baltoscandal is Priit Raud. In 2013 Rakvere Teater, Teatteri Telakka from Tampere, Finland and Teatteri Vanha Juko from Lahti, Finland started a project that resulted in three productions all involving actors from each theatre and sharing one common theme defined as “being on a border”. 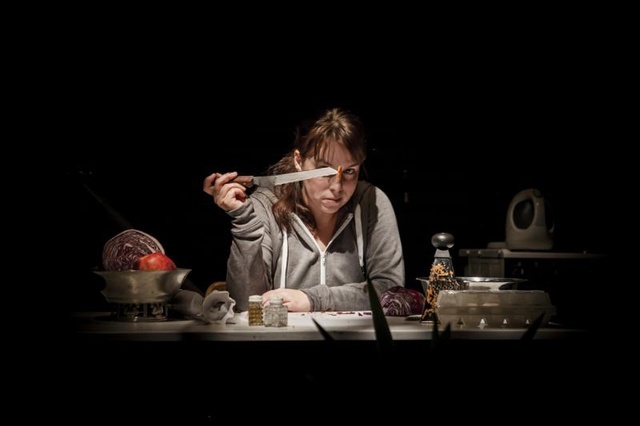 Rakvere Teater’s “köök/keittiö/kitchen” premiered in june 2013 and is ever since on tour in Finland and Estonia. The project with two other productions, Telakka’s “Petroskoi” and Vanha Juko’s “Kullervo” received the national theatre award in Finland provided by TAIKE (Art Promotion Centre). 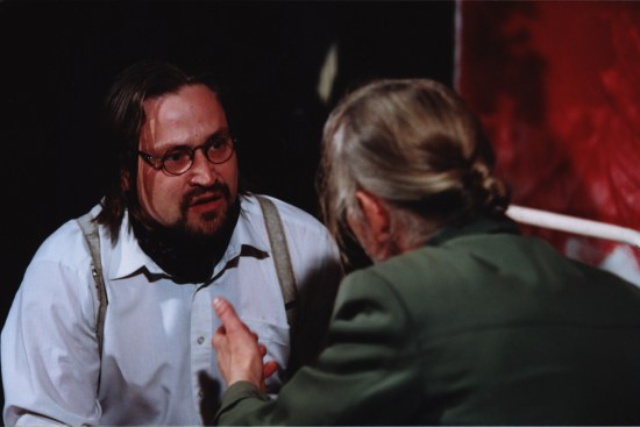 In March 2014 Rakvere Teater hosted an American director Nils Riess from Ada, Ohio who directed here an anti-war material written by Patty Gideon Sloan called “The Beginnings”. The production, however, was another phase in a much longer co-project between Rakvere Teater and Ohio Northern University (ONU). In the frame of the same co-project Rakvere Teater’s production “In The Whirl of Winds” was on North-American tour in the fall of 2012. The production visited 5 different cities in the US and Canada (Chicago, Ada, Toronto, Washington DC and NYC) and was technically supported by ONU’s students. The sound and light design of “The Beginnings” was fully provided by ONU’s MA students Tyson Miller and Jacob Novak. The co-work and exchange of technicians between Rakvere Teater and ONU will continue. The story of Mick Dowd, a gravedigger charged each autumn with disinterring bones from his local cemetery to make space for new tenants. 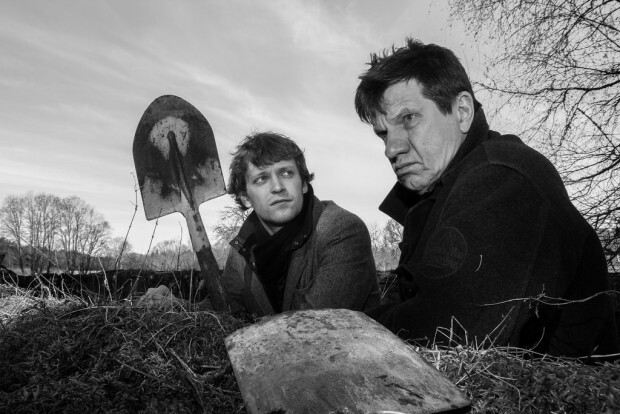 When Mick has to dig up the grave of his dead wife, it unearths muffled rumours about Mick’s role in her sudden death. A Skull in Connemara is the forgotten sister in McDonagh's The Leenane Trilogy. 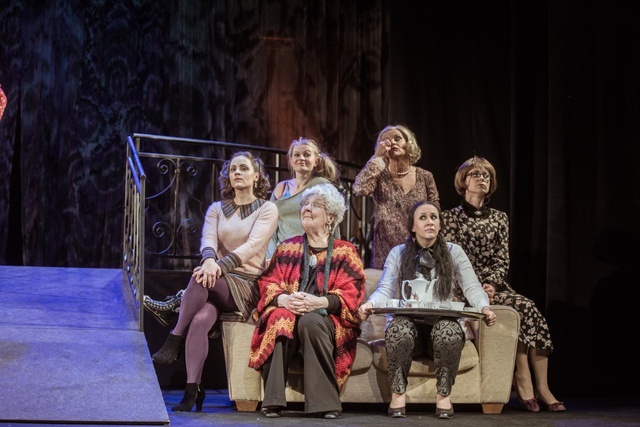 The other two plays (The Lonesome West &The Beauty Queen of Leenane) have been very sucessfully in the repertoire of Rakvere Theatre. 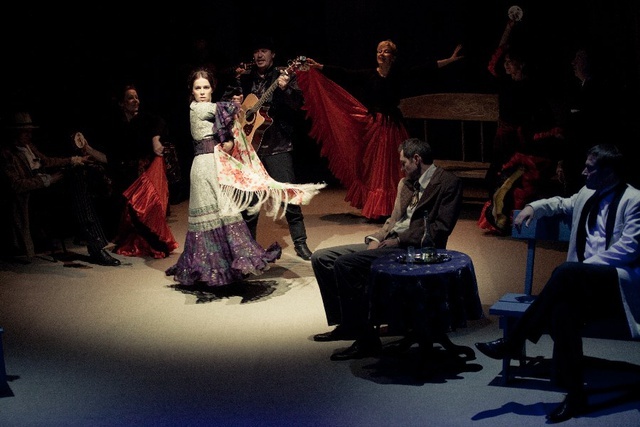 In the autumn of 2014 the production is invited to participate in the first International Festival of Martin McDonagh in Perm, Russia initiated by „U Mosta“ Theatre. The collection of funny and adventurous children stories from a Finnish village from 100 years ago accompanied by the music of one of the most popular folk-bands in Estonia Kõrsikud. The ideal performance for the whole family is performed in the territory of Palmse manor, in the heart of Lahemaa National Reserve. A comic retelling of the biblical myth of man's beginnings in light of what we know has happened to him since; a look at the way the world is, not as we may suppose God wanted it to be. Thus, man is given self will by a God who knows he will abuse it yet knows also man cannot redeem himself without it. 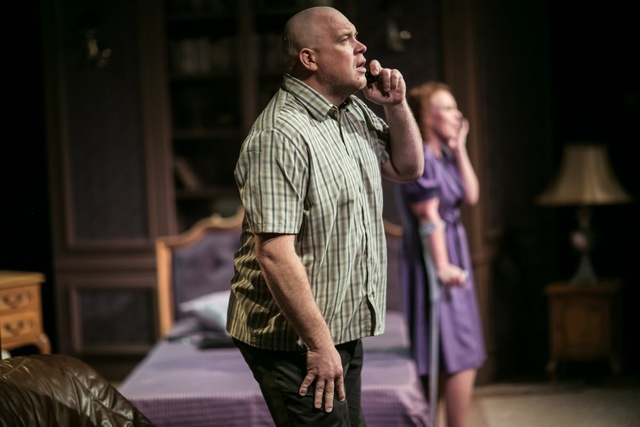 The production is directed by American director Nils Riess and is part of the co-production between Rakvere Theatre and Ohio Northern University. Petroskoi is an ode to the vitality of small nationalities and to the ability to cope. The presentation is a layered journey that makes extensive use of the forms of expression of contemporary theatre and draws its ideas from the colourful history and present-day of Petroskoi (Petrozavodsk).piece is a part of Theatres’ Co-Project between Rakvere Theatre, Vanha Juko Theatre in Lahti, Finland and Telakka Theatre in Tampere, Finland. Kullervois a new play written and directed by Lauri Maijala and based on Aleksis Kivi’s classic play. ?It jumps head first into the worst nightmare of the Finnish middle class. ?Kullervo is a wicked satire of a child who’s been raised by both family and nation. ?A child that embodies the spirit of the mythical Kullervo: bitterness, anger, lust and outrageous self-seeking. ?A child out of control.piece is another part of Theatres’ Co-Project between Rakvere Theatre, Vanha Juko Theatre in Lahti, Finland and Telakka Theatre in Tampere, Finland. Kitchen is usually part of a bigger number of rooms. It’s a place for get-togethers, reloading and often it is the only place to actually work at as the surrounding rooms are all designed for resting. It’s clear that kitchen is the heart of being. If something happens there, it happens in all other places. ?In köök/keittiö/kitchen Estonians and Finns share a kitchen and the relationship between the two nations is observed as they work together and let themselves be influenced by the outer world.köökis another part of Three Theatres’ Co-Project between Rakvere Theatre, Vanha Juko Theatre in Lahti, Finland and Telakka Theatre in Tampere, Finland. 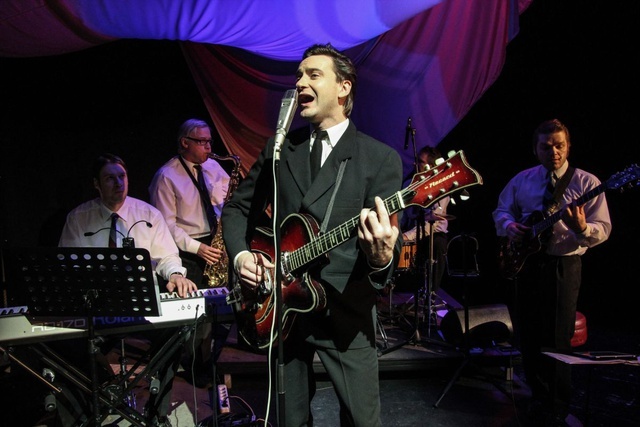 An original Estonian musical what-if-production of the life of Uno Loop, the honey-voiced king of Estonian pop music who charmed audiences generation after generation. 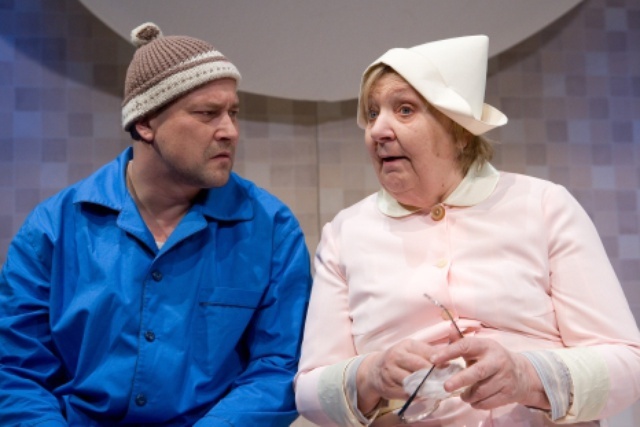 During the ten years that Peeter Rästas and Anneli Rahkema have worked in Rakvere Theatre, they have played in dozens of productions together, sharing the stage with dozens of actors. About a year ago they both felt they wanted to express themselves in a new way - by performing alone. They both found themselves a director (Peeter found Kadri Noormets, Anneli found Kertu Moppel) and so two solo pieces were born, performed on the same night. This horse is special. Instead of chewing straws he likes to read books in his rocking chair. But once he discoveres his glasses are lost an unprecedented adventure starts... 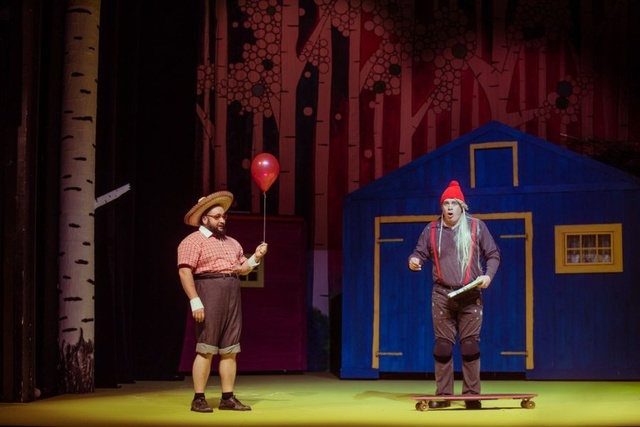 The Horse Who Lost His Glasses is a production for the whole family accompanied by the original music of an acknowledged Estonian pop-composer Marten Kuningas. An old man has stayed in an hotel longer than planned. He's an old-school man with style and concrete views towards life. There are not many things that could surprise him. There's another man in the hotel, much younger. He knows how to make moves so that he could live nice and comfy live. He's ready to take advantage and he can cause surprises. These two men make a fatal deal, the Contract. Three soldiers stay in limbo at the placed they were killed protecting their country from the Soviet occupation in 1944. They listen to the stories of each other and the people who survived when they were gone. The Legionaries is about the Second World War in Estonia and the post-war interpretations of history from a painful aspect. Eight women gather together in an isolated, snowbound cottage to find Marcel, the family's patriarch dead with a knife in his back. Trapped in the house, every woman becomes a suspect, each having her own motive and secret. An adaptation of Eldar Ryazanov's Soviet classic romantic comedy which in a way is similar to Shakespeare's The Taming of the Shrew. A women is alone and works a lot. A man is alone, too. And he also works. There will be love at work. A self-improvement comedy. As it's commonly known: women are from Venus and men are from Mars but the way from one to the other is sometimes even longer than from one planet to the next. Felix has just broken up with his wife. Despondent, he goes to kill himself but is saved by his friend Oscar. With nowhere else to go, Felix is urged by Oscar to move in with him, at least for a while. The only problem is that Felix is neat, tidy, and neurotic, whereas Oscar is slovenly and casual. A classic comedy by Neil Simon. A man called Aston brings an older man, Davies, back to his room in a house owned by his brother, Mick. Aston allows the older man – who seems to be homeless – to stay in his room. As time progresses, Aston and Mick ask Davies to be the caretaker at the house, but things don't seem to work out as planned. 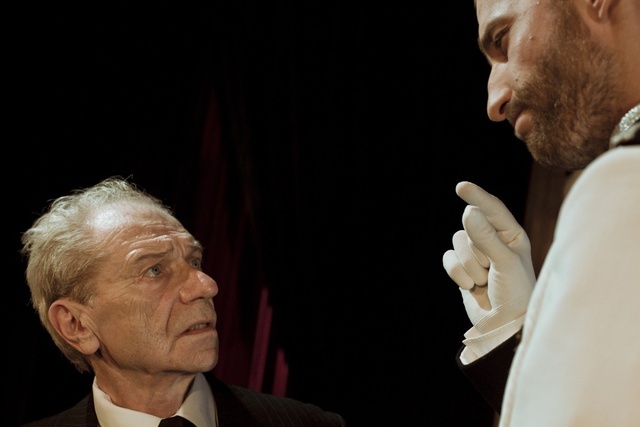 The Caretaker is a production of a legendary Estonian director Mati Unt and has been in the repertoire of Rakvere Theatre since the premiere in 2001. A young, beautiful and noble woman, but without a dowry. A narrow-minded clerk who is about to get that woman. There are men around her who think that money can buy them everything. But the woman is in love with someone else. She’s in love a with a dashing scoundrel who betrays her in about sixty minutes, leaving the waters of the Volga as her only solution.